This entry was posted on May 12, 2013. 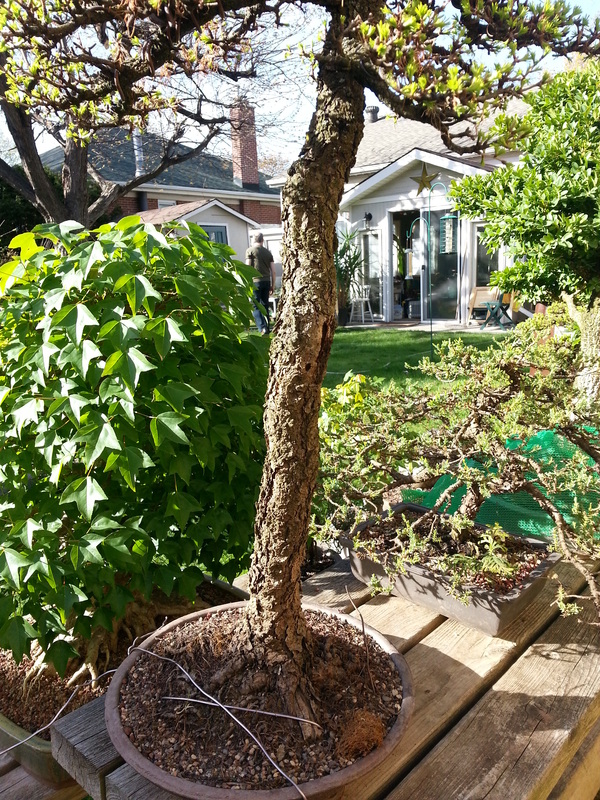 It was filed under Bonsai, Health and Disease, Larch, Larix laricina and was tagged with Bonsai, borers, larch borers, Larix, Nick Lenz, Pest, tamarack. So when do you think the borers from hell descend upon the bushes? I really have no idea. I would just assume the worst and expect them all through the growing season. And that’s why I hate pest! 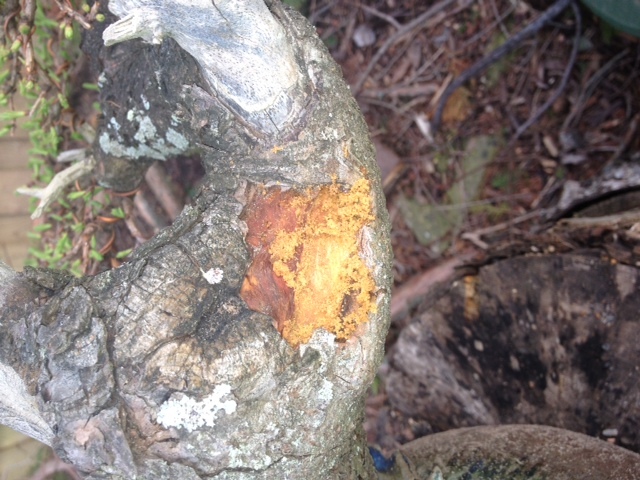 Once the borer is in the wood, what can you do to kill it? I think best is to prevent it, since it is so hard to know when they are present until it is too late. Preventative use of systemic insecticides (imidacloprid) is where I start, but I’m not sure how effective it is. Maybe I’ve just been lucky so far. I lost 40 percent of my trees in one day with these boring beetles. 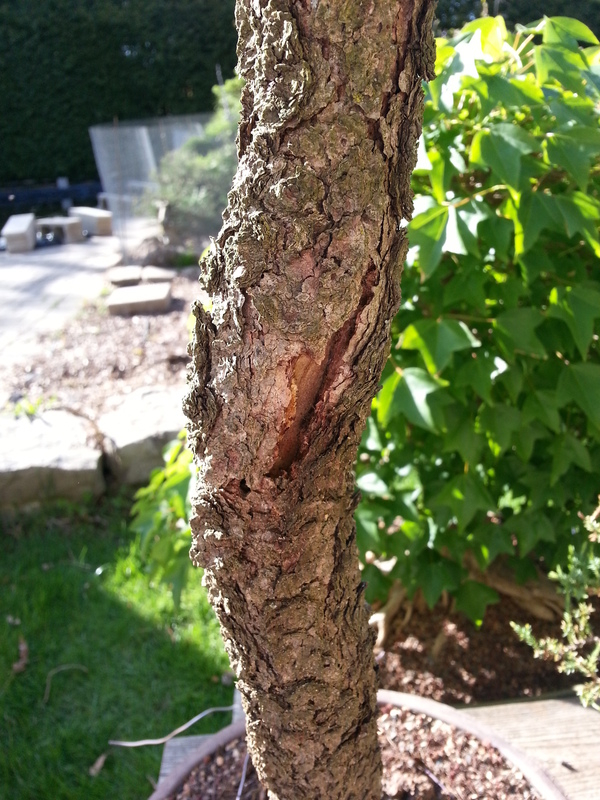 I first noticed a young maple tree wilt in the afternoon, it was well watered, so I exaimed it closer and noticed a small pile of sawdust at the base of the trunk and one tiny hole in the bark. I checked the rest of the trees, and just under half ( about 40 trees) had the same signs. They attacked almost every species I had, larches, ash, maple, apple etc. I tried injecting alchol into the holes with a needle, this caused many of the beetles to back out of the holes, some holes had two inside! The trees that got attacked all died, some quickly, others took a week. 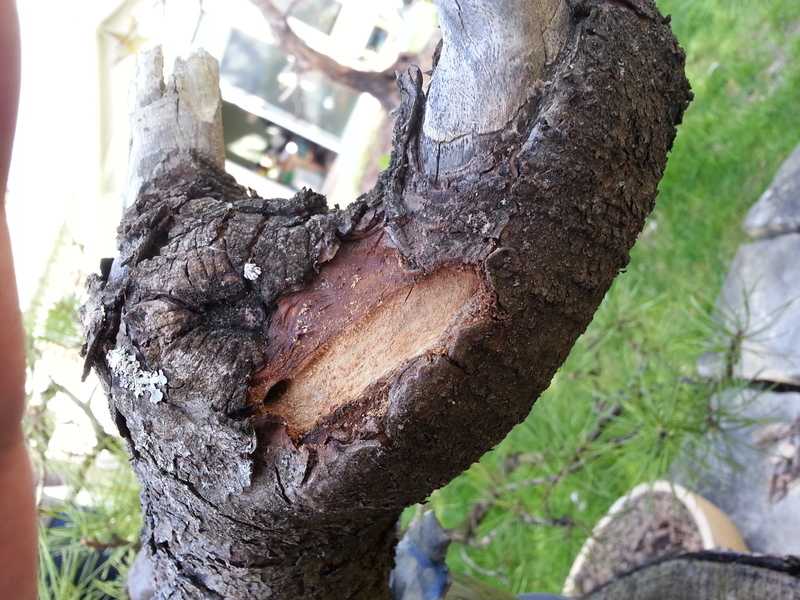 I had never had this problem in my 15 years of bonsai and have never had this problem in the last 7 years. I checked all the trees after they died and was amazed how long and intricate the passages were, and that the beetles carved them under the bark in just a few hours!